sentence by a Philadelphia Common Pleas Court judge against a man convicted of possessing an instrument of crime stemming from his arrest following a fatal stabbing. The appellate panel, in an opinion filed Sept. 4, affirmed the trial court’s two-and-one-half to five-year prison sentence handed down to Alex M. Naranjo in late March 2011 following a jury trial. At trial, Naranjo was found guilty of possessing an instrument of crime, although he was acquitted of homicide charges. Naranjo had been arrested following the Jan. 24, 2008, death of Reo Dennis, who had been found lying at the corner of Sixth and South Streets in Philadelphia with a stab wound to the chest. Dennis died soon after being transported to the hospital by emergency medical personnel. When questioned by police, Naranjo admitted to stabbing Dennis, but claimed he had acted in self-defense. Background information in the case shows that Dennis’s girlfriend at the time was a woman who Naranjo previous dated. The evidence at trial, according to the appellate panel’s decision, showed that during an argument, Naranjo threatened to kill Dennis, who was a double black belt and worked as a bouncer at a bar. The two men met at Sixth and South Streets for a prearranged fight to settle a dispute between them at about 5 a.m. on Jan. 24, 2008, at which time Naranjo had three different weapons on him: a metal ruler with a makeshift handle made of bandages, a pair of scissors and a multi-purpose tool that contained a pocketknife. Naranjo had argued that after the two men began to fight, he struck Dennis in the chest only after he began to be assaulted by the victim. Naranjo appealed his sentence, during which he raised two issues: was the evidence sufficient to support Naranjo’s conviction for possessing an instrument of crime where a jury acquitted him of murder on the basis of self-defense and there was no evidence to establish that he possessed a weapon with criminal intent? And did the trial court abuse its discretion in issuing the statutory maximum sentence for the count on which he was convicted where the record discloses that the court focused solely on the circumstances surrounding the crime and failed to consider all other relevant sentencing factors? On the first point, prosecutors had argued that the fact that Naranjo admitted to taking a stance with the scissors in hand, rather than retreating, that he had the requisite criminal intent for the charge of possessing an instrument of crime. The appellate panel wrote that while a PIC conviction can often be overturned when a criminal defendant is acquitted on homicide charges based on successful self-defense arguments, in this case, Naranjo was technically not acquitted based on self-defense, since the jury made no such finding. “Since Appellant was found guilty of PIC, we must assume that the jury rejected self-defense as the basis for its acquittal on the murder and voluntary manslaughter charges,” the ruling states. The panel went on to write that Naranjo was not convicted based on his mere possession of the alleged weapons, but because he intended to use those weapons to fight Dennis. As for the second issue raised on appeal, the discretionary aspects of Naranjo’s sentence, the appeals judges also upheld the trial court’s decision to sentence Naranjo to the statutory maximum imprisonment. Naranjo had argued that because he was a first-time offender, he has an excellent prospect for rehabilitation and because he was remorseful, he should have received a lesser sentence. Naranjo argued that the trial judge “impermissibly” relied on the death of Dennis in aggravating his sentence well beyond the standard guideline range of probation to three months incarceration. The appeals judges, however, agreed with prosecutors that the trial court used as reasons justifying the sentence Naranjo’s escalation of the conflict with Dennis, preparation of weapons, possessing three separate weapons, consuming alcohol and marijuana prior to the altercation and causing a death. 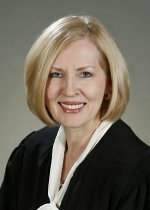 The decision was written by Superior Court Judge Mary Jane Bowes. Judges Ann E. Lazarus and David N. Wecht also participated in the case.